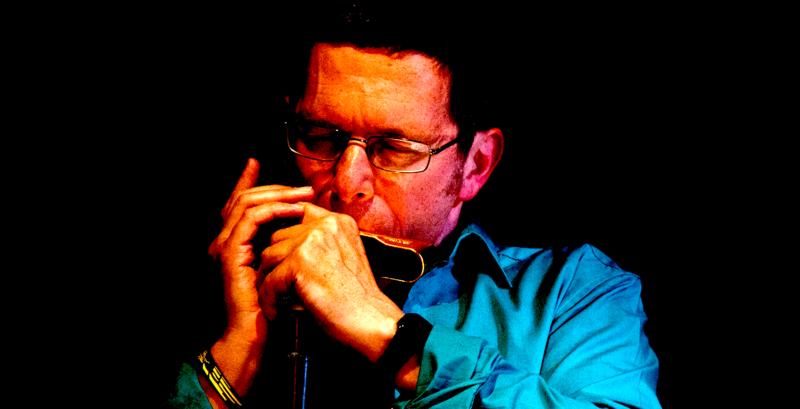 Adam Glasser’s unique harmonica sound combines his South African roots with many years immersed in the UK jazz scene initially playing piano his own groups as well as for SA legends such Dudu Pukwana, and as musical director for 16 years of the veteran SA vocal group the Manhattan Brothers. His 16 years as musical director led to his producing their final album ‘Inyembezi’ for EMI in 2006. Adam has since released 2 critically acclaimed albums of his own – ‘Free at First’ (2010 SAMA Best Modern Jazz Album)and ‘Mzansi’ (nominated 2012 SAMA Best Jazz Album).